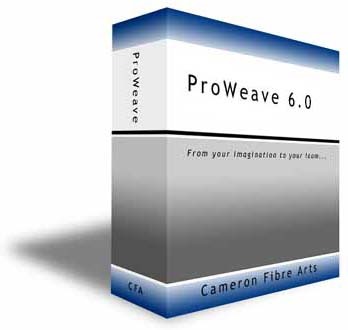 ProWeave 6.1 for Windows provides a complete set of tools for everyone from the beginning weaver to professional artists. Compatible with Windows XP, Vista, Windows 7, Windows 8, and Windows 10. Float count on multi-coloured drawdowns. View the interlacement of any weave structure. View the interlacement of multi layered structures. Add plain weave picks to any weave structure. Nudge drafts or objects with arrow keys. Also available: Serial loom drivers for computer operation of ARM, AVL (Compu-Dobby I and II), Leclerc, Louet and Macomber looms! If you are interested in support for other looms, Contact Us and if there is enough interest, we will develop drivers for your preferred loom.